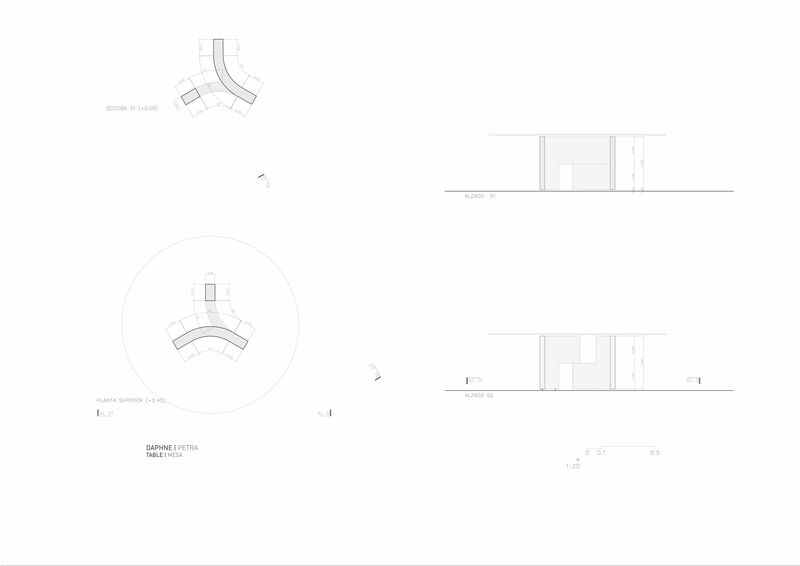 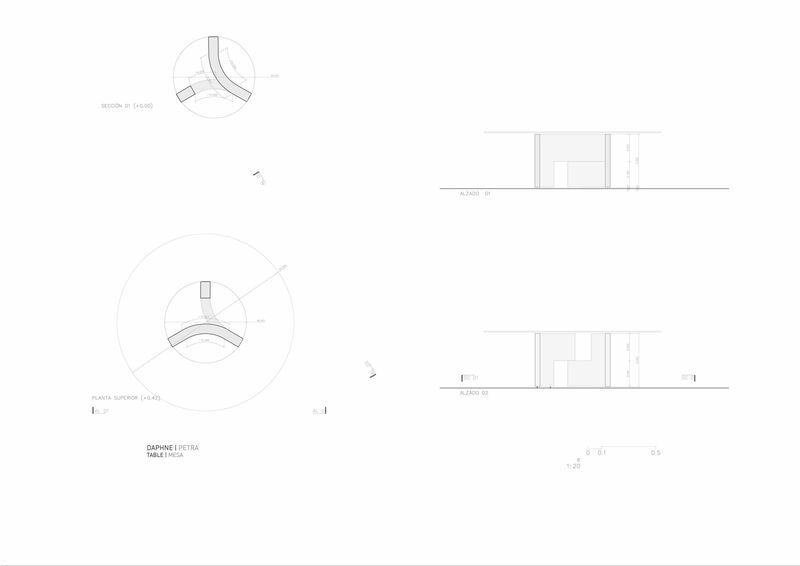 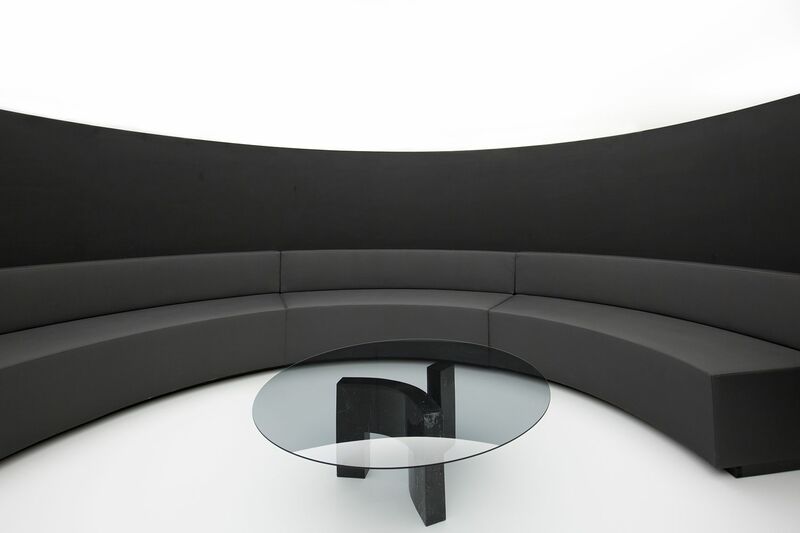 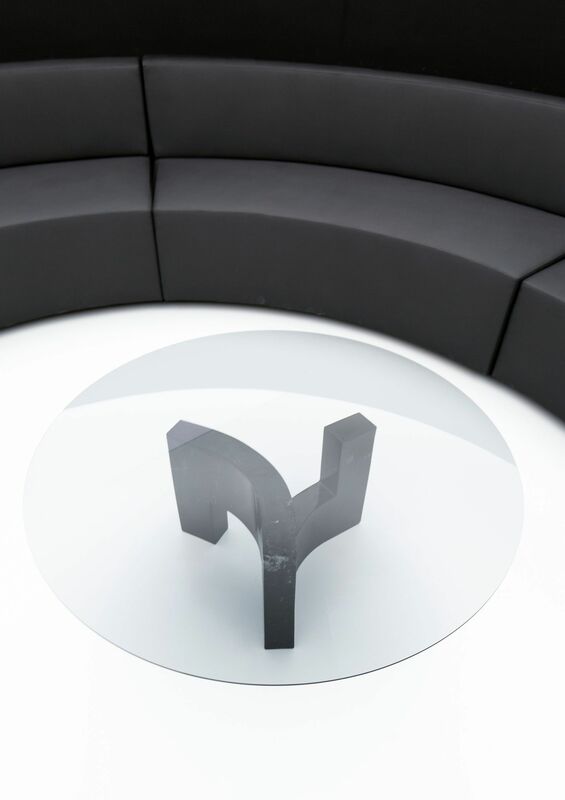 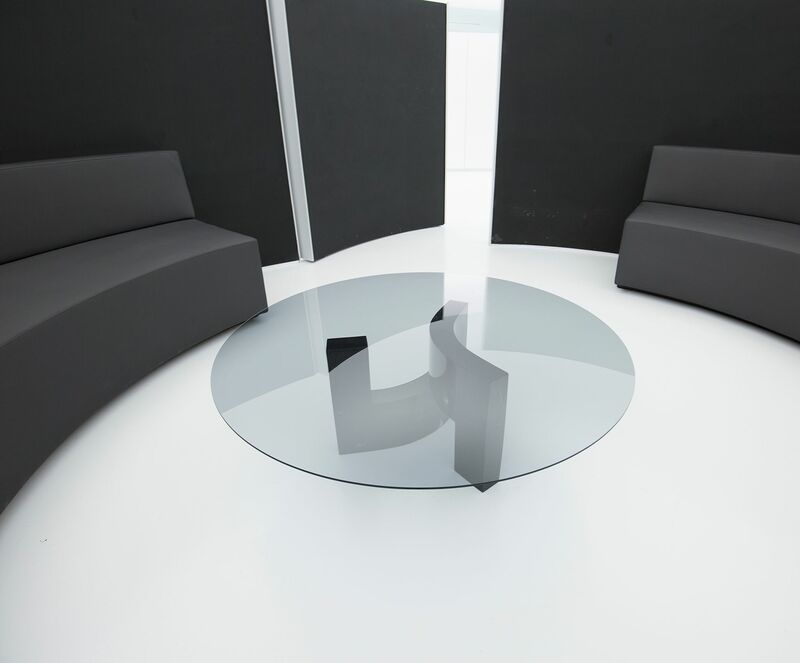 The Daphne table, designed by Fran Silvestre Arquitectos, is composed by two identical pieces, with a curved geometry, that are repeated in a symmetrical way, superposing one to another, and they are arranged giving place to a circumference, that supports the glass table top. 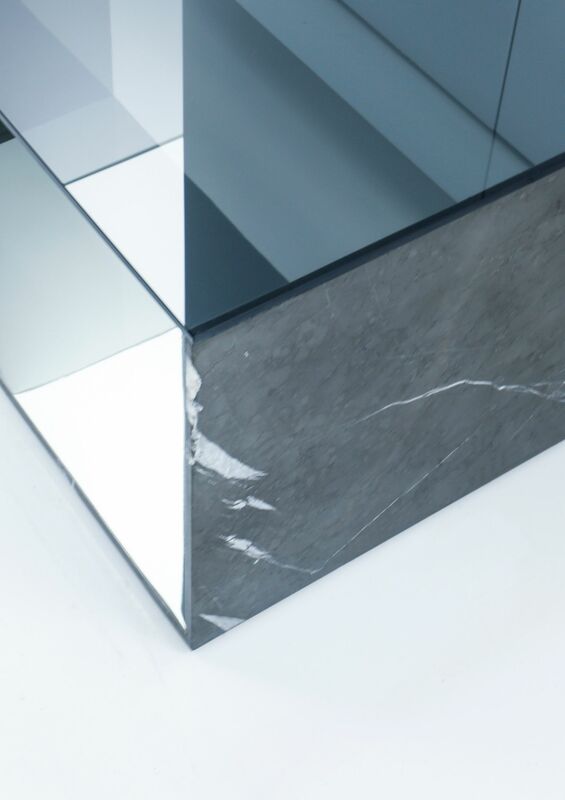 The tones of the glass vary, adapting to the colour of the stone. 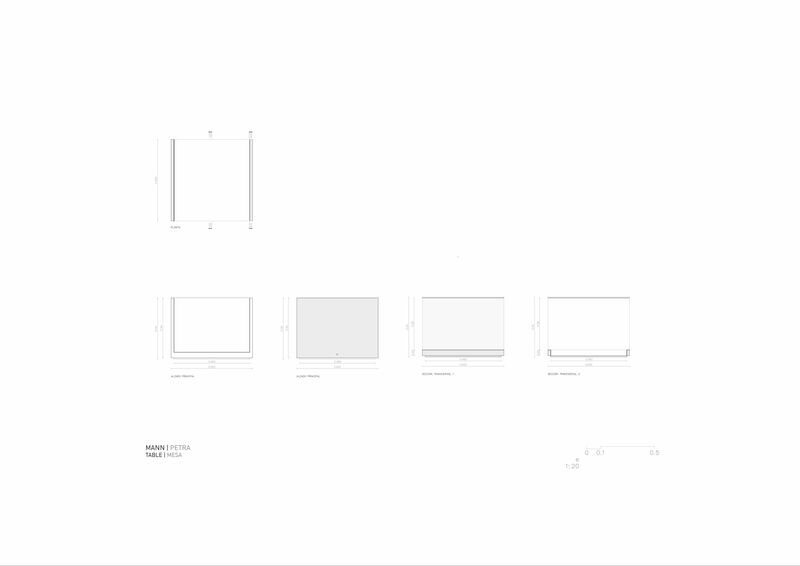 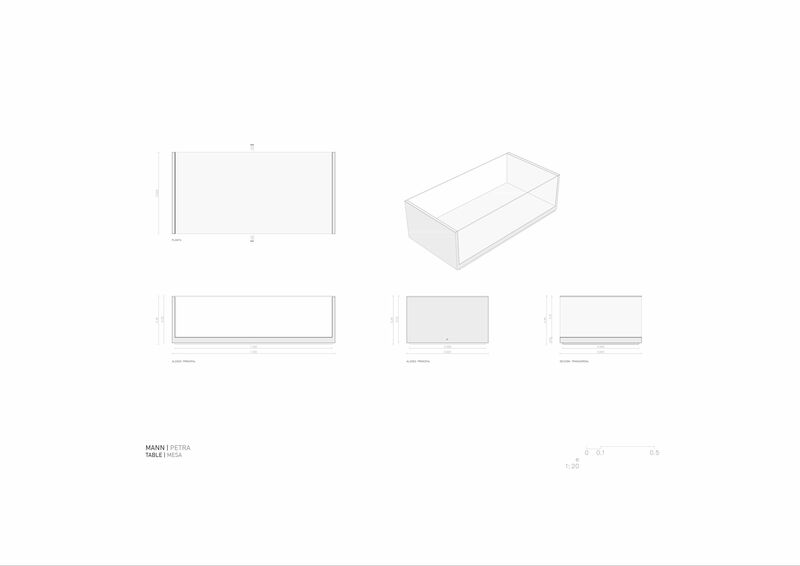 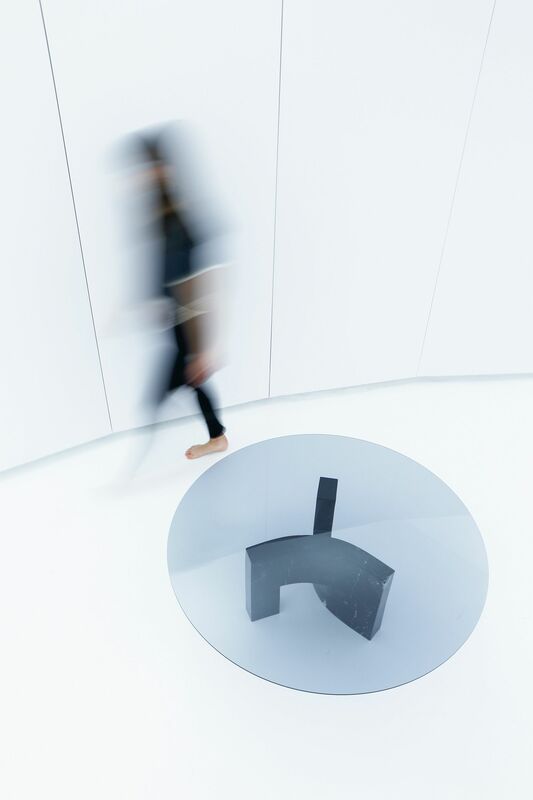 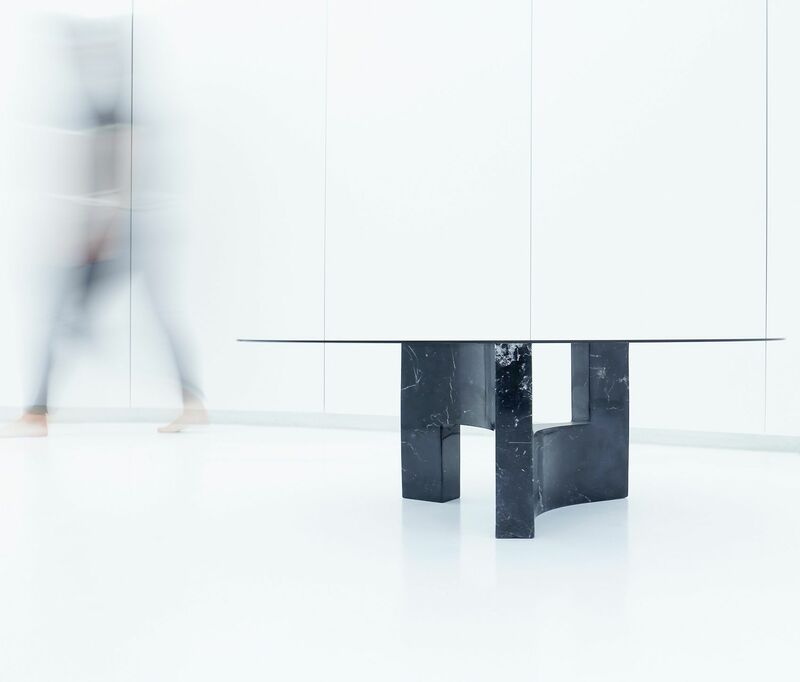 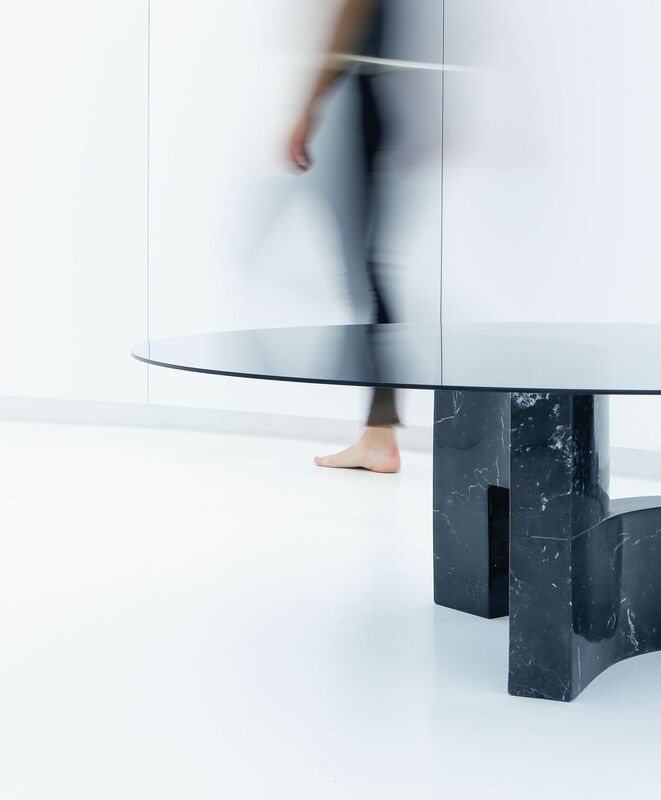 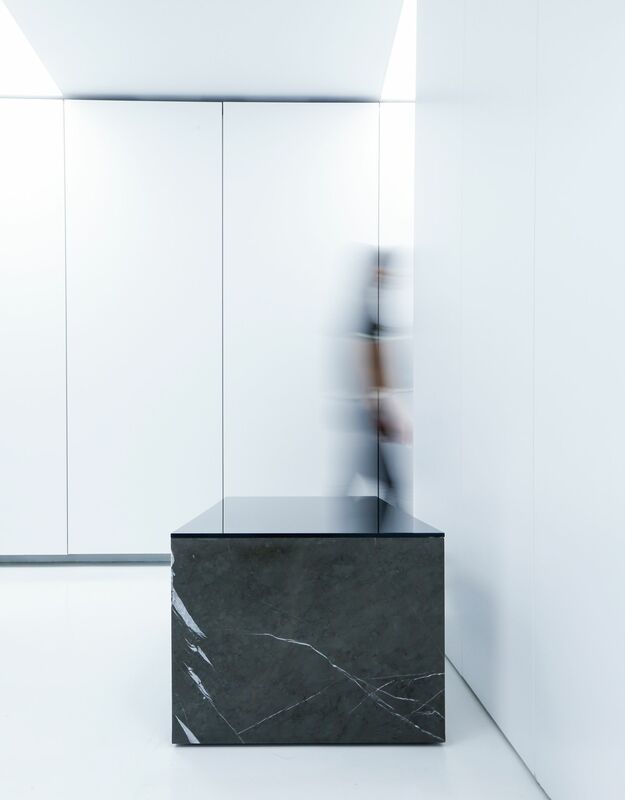 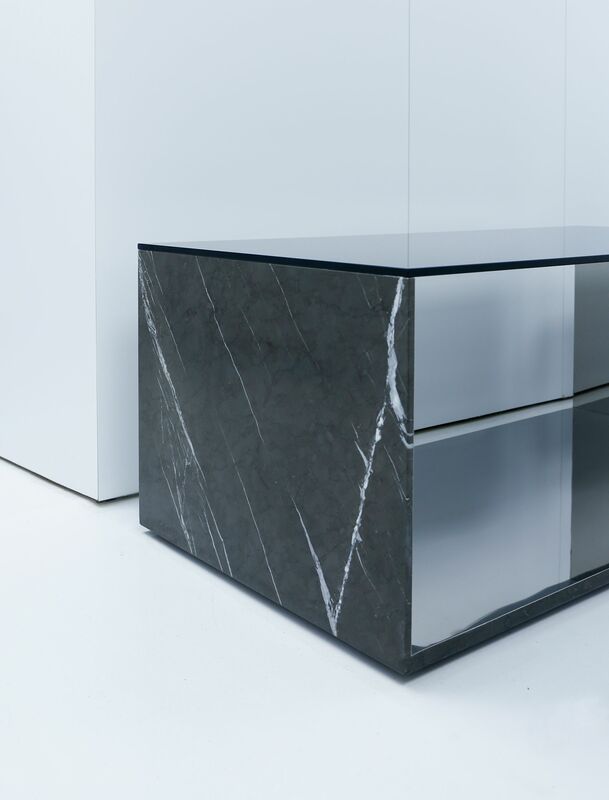 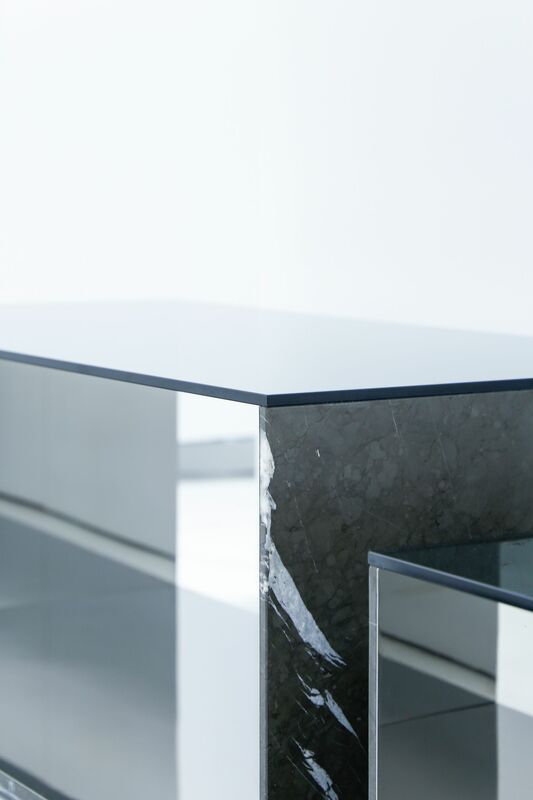 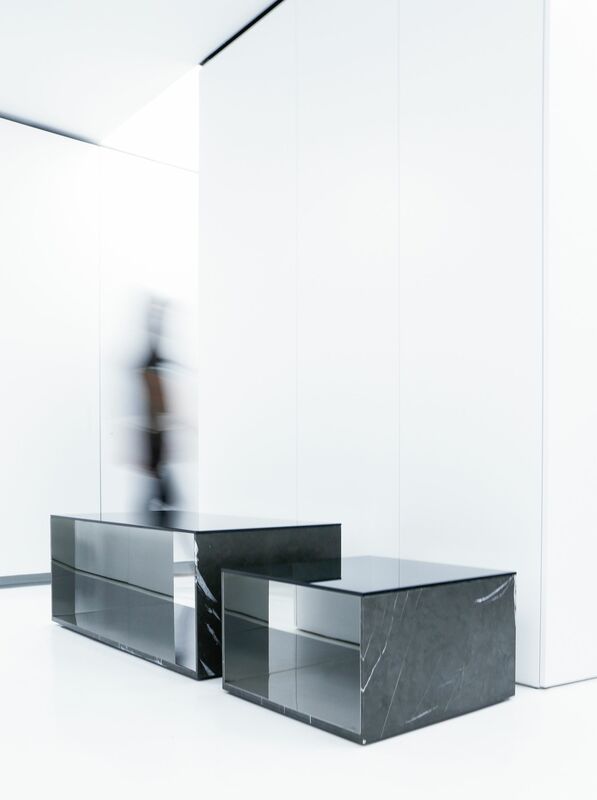 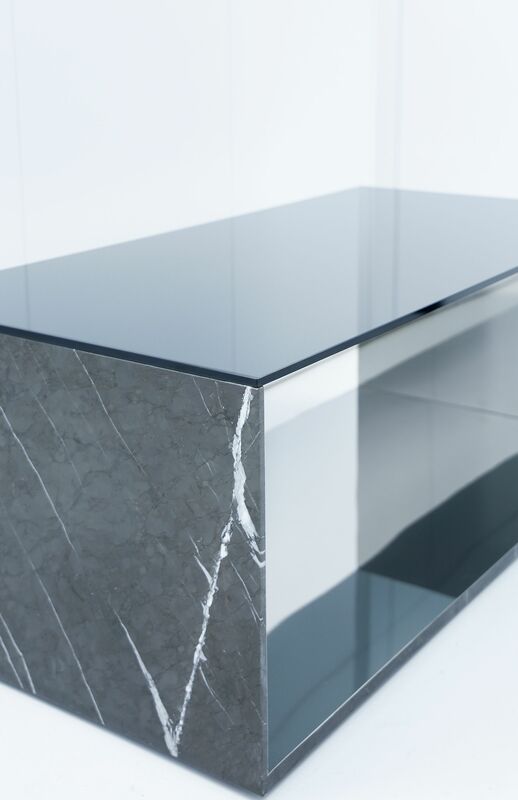 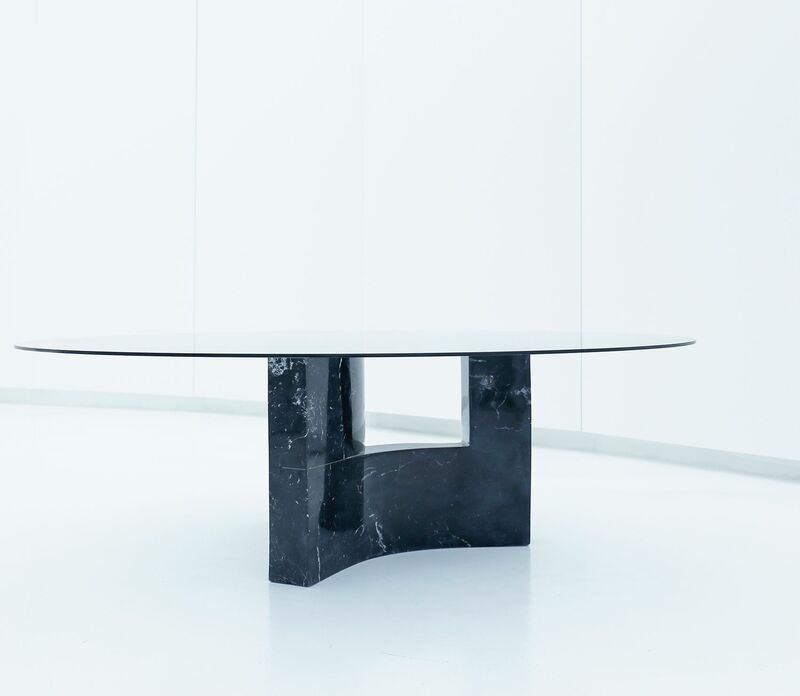 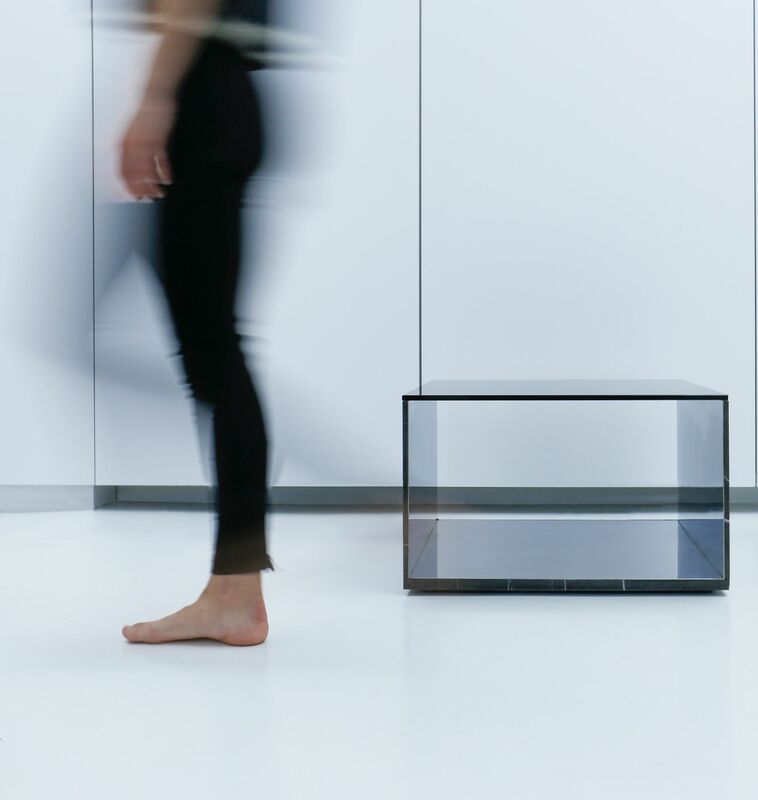 The Mann table, designed by Fran Silvestre Arquitectos, is formed by a stone element, rectangular in plan, that rises in its shortest sides, and which is covered in its interior by a stainless steel sheet that acts as a mirror and ensures the stability of the table. 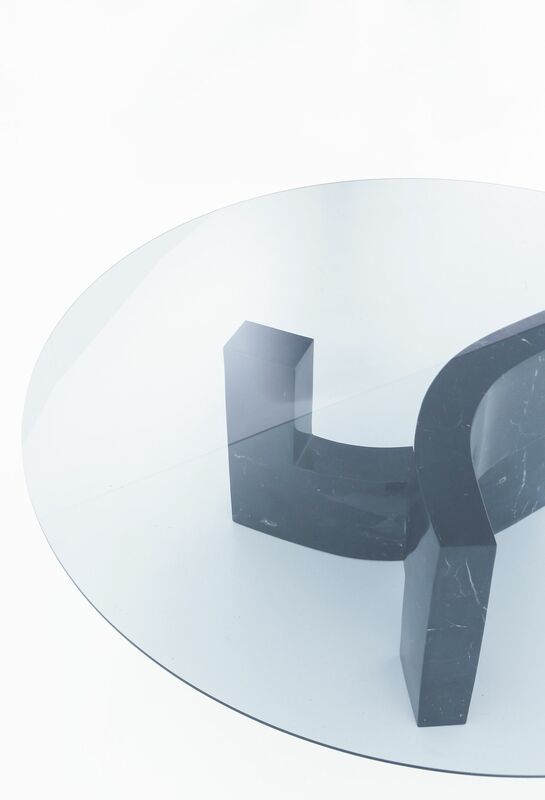 On top, and laying on both sides of the table, the glass seals the composition.